eBooks and More! | Welcome to CHPL! 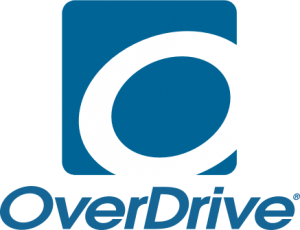 CHPL has various websites where you can download content 24/7 with the use of your library card.Overdrive is the largest provider of eBooks and eAudiobooks to public libraries in the U.S. and Canada. Check out any combination of 8 titles and read/listen on your PC/laptop, smartphone or tablet. The app is free in both the App Store, Google Play and Amazon (for app-based Kindles). Titles are available for either 7 or 14 day checkout periods. Using a tablet or smartphone? Try OverDrive’s new easy-to-use app – Libby. CHPL has various websites where you can download content 24/7 with the use of your library card. Libby (formerly OverDrive) is the largest provider of eBooks and eAudiobooks to public libraries in the U.S. and Canada. Check out any combination of 8 titles and read/listen on your PC/laptop, smartphone or tablet. The app is free in both the App Store, Google Play and Amazon (for app-based Kindles). Titles are available for either 7 or 14 day checkout periods. RBDigital offers eMagazines that can be read across a variety of mobile devices, such as iPads/iPhones and Android devices. The app is free in both the App Store and Google Play. Don't have a mobile device? RBDigital is available for PCs and laptops as well (Windows and Mac). Please note, you will need to create a new account before you can register the app. You will also need your library card to sign up for RBDigital. Check out as many titles as needed. Titles can be kept for as long as they are needed. Instantly borrow free digital movies, music, eBooks and more, 24/7 with your library card. Bringing you hundreds of thousands of movies, full music albums, audiobooks and more, hoopla is a revolutionary digital service made possible by your local library. Simple to access and use, without the hassle of having to return the items you’ve borrowed, all you need is your library card, a web browser, smart phone or tablet to get started. The freedom you want is here, now. Sign up today! eReading Room for Kids is part of our OverDrive eBook and eAudiobook site, but designed with a younger audience in mind. Check out a great collection of electronic titles for children by browsing subjects, collections, and reading level.